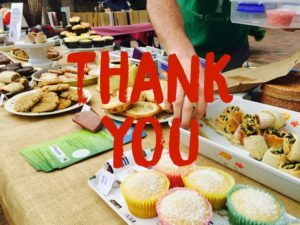 Big shout out to everyone who helped with the Vegan ACT Bake Sale, BBQ & Jumble Sale! Everyone who baked, donated goods, worked on the stall, invited their friends and came along to enjoy the food and company has warmed our hearts with their generosity and have made such a difference for this little volunteer-run non-profit for the animals! It was a beautiful day. The funds raised are so appreciated, and as we speak are going straight into Vegan ACT projects and tools to help us make Canberra a kinder place for animals every day, and raise awareness of Veganism in the capital.